You will need gloves and protective eye wear for this. Break the seal and using pliers, take out the tube and empty out the contents. Click here for more detail. Find a metal washer that is big enough for a 12 cm cotton string to go through but also hold it in place. Glue the washer to the the part that you use to screw in the bulb. Find a round base to place the bulb on. This could be a washer, a large nut, a plastic bottle top or even a piece of wood with a circular hole carved into it. Glue the glass part of the bulb to the base so it is secure. Fill the bulb with lamp oil and thread the string through the washer at the top. Congratulations! You have now converted an old light bulb into an oil lamp. For video tutorials, click here or here. You can save a lot of money and save the planet from a lot of heartache by no longer buying disposable razors. These disposable razors end up in landfill or the ocean. Throwing away is not an option because we are now smart enough to realise that ‘away’ actually means somewhere else on the planet. We are better than buying and throwing away stuck on repeat. We can buy a safety razor that we can use over and over again. If the blade is dried after use, it can last quite a while before replacing. These blades can be recycled as they are madce of stainless steel and are much cheaper than other disposable blades. Give it a try, you won’t look back! If you are reading this then you can probably think of a few uses for that odd sock before retiring it to either the ecobric (if it’s made of polyester) or to the compost bin if it is made from natural fibres. The obvious way is to use it as a rag for cleaning. Collect silica sachets from all your empty pill boxes and put them in old sock. Leave it on your dashboard to stop it from fogging up in the winter. They are great for protecting things in storage: e.g golf clubs, safety glasses, sunglasses, shoes, tennis balls (or any small balls), breakables, game pieces and so on. Cut them up and stick them to the bottom of furniture legs to use them to protect your floors. Put the odd sock over your vacuum nozzle to get small bolts and jewelry that may get lost in cracks and keyboards. Make a small heat bag for you, your loved ones or pet. Simply fill with beans or rice and sew closed. A minute in the microwave and you have someting to keep the bed warm. Sew two together and you can drape it around your neck or place anywhere to ease tension and encourage healing. Corks are biodegradable but surely they can have a greater purpose rather than just going into the compost bin or sawdust eco toilet. I was absolutely right. They can be made into many things, one of them being a cork board to stick up notices, shopping lists,goals, bills and reminders. You can use an old picture frame where the glass has been broken or you can make your own. The wine smell on the cork will fade with time but if it bothers you, you can soak them in 10:1 water and vinegar solution and leave out to dry or you can leave them in the sun for a day. If some of the corks have loose ends from corkscrews, you can break them off or cut them with a serated knife so they have a clean finish. If you don’t have an old picture frame, you can buy plywood or pine or any sustainable wood from the hardware store. If you know your neighbours or community, you can find old scraps of wood to use instead of buying wood. You will need to make the backing to a square or retangle size of your choice. Cut the wood to fit around the backing as a frame and join together with wood glue. Use clamps or weights to help the pieces stick together and for the glue to set overnight. You can paint or varnish the frame for it to suit your current decor but this is optional. Glue the corks onto the backing in the pattern you desire. You can cut the corks to fit along the edging of the frame. You are now ready to hang your corkboard. A very special lady, Avril Powrie, shared this marveloous recipe for making your own wet wipes. Use a container that will fit the roll comfortabley – a 1 litre yoghurt container works. Mix all the ingredients in the container, then insert the cut in half paper towel roll. Open and extract the cardboard core and voila! you have home made wetwipes without the plastic in the fibres. Feel free to play around with your own ingredients to find out what suits you. Those bags that we can conveniently tear off a roll at the grocery store to weigh our fruit and vegetables in, is called single use plastic. This means that this plastic cannot be recycled and if it breaks, it cannot be used for anything else apart from filling an eco brick. 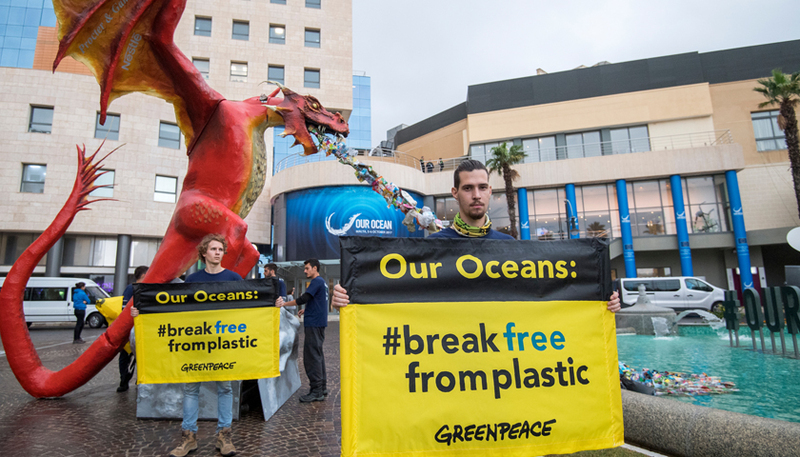 If you think of all the single use plastic that South Africans use every year, it seems to add up to quite a lot. Now think about how many people around the world use single use plastic and how much plastic that would be in a whole year. I find it quite a scary thought. Unicorn Cafe supplies bags to use over and over again when buying fruit and vegetables in the grocery store. 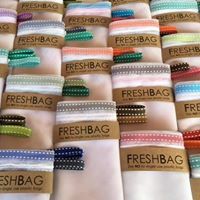 They are called fresh bags and can be found here.